Witness the magnificent Victoria Falls during this 3-day, 2-night package. After pickup from the airport and a transfer to your hotel, watch the sun dip below the horizon and the wildlife come out to the banks during a sunset cruise. 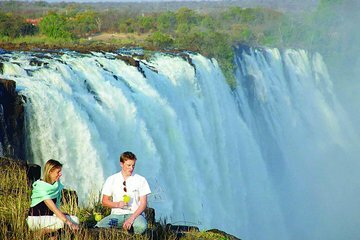 Enjoy guided tours of Victoria Falls and discover the best spots for photo opportunities. All lodging, daily breakfast, airport transfers, sightseeing cruise, and tours are included.